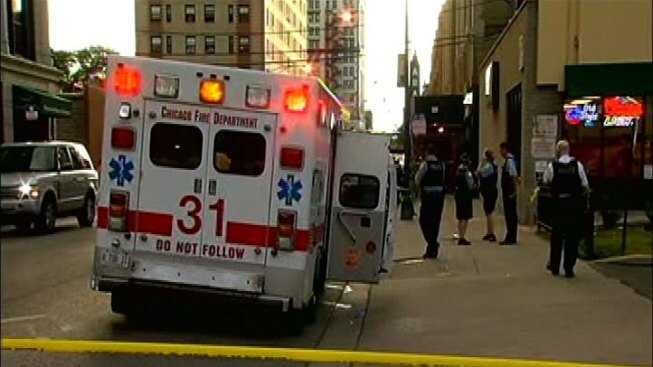 Several people were wounded in a Friday evening shooting in Chicago's north side Uptown neighborhood. Shots rang out at about 7:15 p.m. in the 4800 block of North Sheridan Road, a fire department spokesperson said. Five ambulances responded to the scene. A fire department spokesperson put the number of injured at five. A police department spokesman initially said four were injured, adding that they were four males of unknown ages. Two went to Advocate Illinois Masonic Medical Center. Two others went to Saint Francis Hospital. But police later confirmed a total of six people were wounded in the shooting. All were in good condition, the police spokesperson said. A "positive loitering" event -- an organized groups of residents taking part in a coordinated neighborhood watch -- was scheduled for the area during the time in which shots were fired.